Today, after loading up a publish script and running it, I got a strange error: '*** @echo' is not recognized as an internal or external command, operable program or batch file. It then continued to run each line individually, throwing errors on basically every line. After playing around with creating a brand new empty file, and getting the same error – I realized the problem. 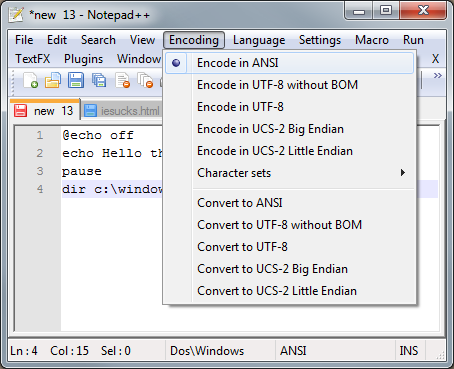 The encoding was set to UTF-8, which the Windows command line failing on. Have you ever wondered why the box to change the name or “Alias” on an application or virtual directory is greyed out (see screenshot below)? I found a way to change the name without recreating all your settings. 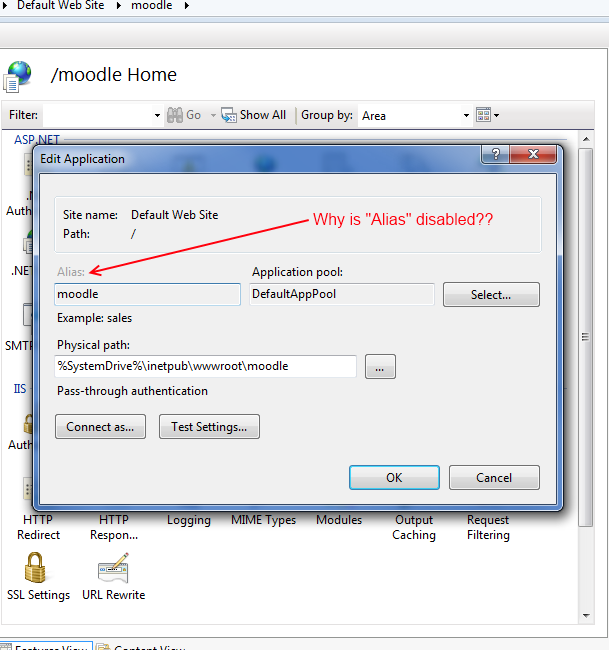 It uses the built in administration commands in IIS7, called appcmd. Open a command prompt to see all of your applications. Open a command prompt to see all of your virtual directories. Handling IIS after doing a publish was always a bit of a pain. This was always a small headache, but if we only published once a month or so, it wasn’t a big deal. A few months ago, we started doing weekly releases in Foliotek, our assessment portfolio tool to take care of any problems that customers were having on the live site. Build the WebDeploy project in ‘release’ mode. This will copy files to a StagingWeb folder on both servers. Load up the staging website (which is hosted on Server1 and pointing directly at the StagingWeb folder). Verify any fixes. (Here is the annoying part): Remote into both servers, and open IIS Manager. At approximately the same time, switch the home folder over to StagingWeb and make sure the site is still up. Back up the Web folder, delete it and copy StagingWeb then rename the copy to Web. Point IIS back to the Web folder. We have extra steps in part 3 to prevent any downtime, but it is tedius and prone to error, timing problems, etc. And it is not something to look forward to at the start of the week. Why should we do something manually that should be easy to automate? The solution uses the PsExec utility which allows remote execution of batch scripts, and the AppCmd.exe command line tool for managing IIS7. It is just a couple of batch scripts. You can call them on the command line, or through MSBuild. We actually have a Windows Forms project that gets run on the AfterBuild event of our Web Deployment project. This executable has links to all of the sites, shortcuts to remote desktop, status of the servers, and a link to the publish script. The source code is below. It would probably need to be modified for different environments, and I’m sure there are better ways to handle this problem, at least this is simple to read and modify. This file basically just calls PSExec on the given server passing up the myproject_publish.bat script. ECHO ERROR: The path %server_dir% does not exist! Exiting..
ECHO Starting publish on %server%. ECHO ERROR: Having problems starting PSExec. Please verify access to the server, and retry. ECHO If the problem persists, then you will need to manually publish. 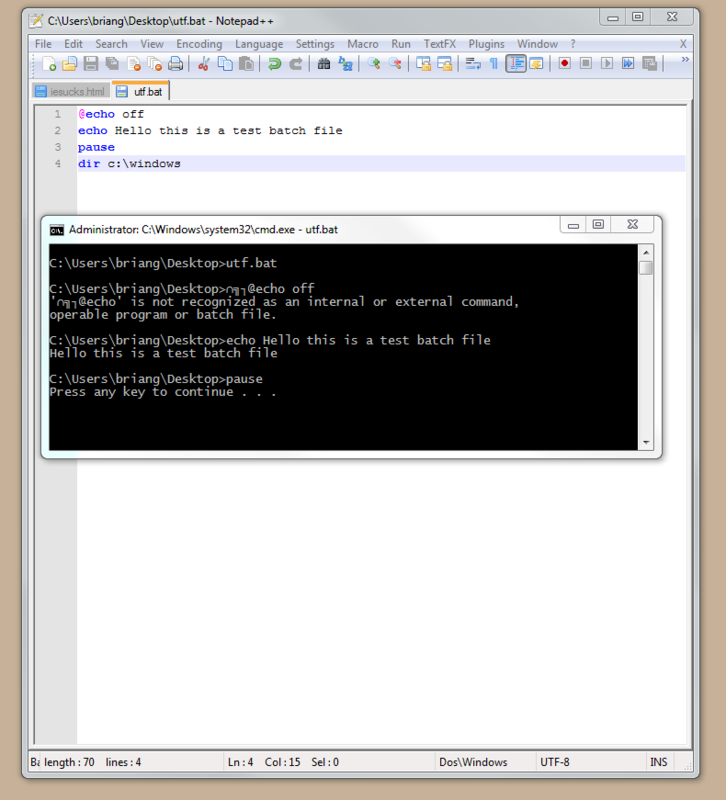 This file will be copied to the servers using PSExec, and will be executed locally in the server environment. 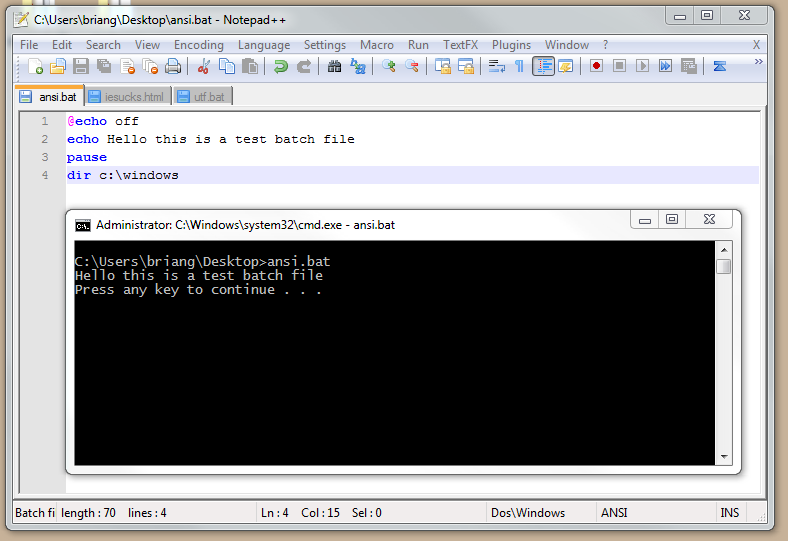 REM This is called from development machines, using the PSExec Command. ECHO Make sure you go to the staging site and confirm it is ready to go live. Choice /M "Are you ready to start?" If Errorlevel 2 GOTO End REM Only proceed if ready, exit if user types "N"
Choice /M "Does the site still work? If NO, IIS will be reverted." ECHO Starting Web Backup to archives folder, and WebRevert in case you need to revert changes. ECHO Removing old Web folder and copying StagingWeb to Web. ECHO Great job! Now published on %COMPUTERNAME%. Don't forget to set the other live web servers! ECHO IMPORTANT: There was an error backing up the files. ECHO This could be caused by lack of permissions when trying to remove the old Web directory, if IIS has a lock on the folder. ECHO Don't worry, the live site should still be ok, but you will need to manually remote into the server to sort out the backups. ECHO Please manually remote into the server to sort things out.